The perfect balance of butter and salt will remind you of your favorite movie theater popcorn! It doesn’t get more simple than salted butter popcorn, but we made sure to get the right balance of flavors from our organic ingredients to bring you a delicious snacking treat. G.H. 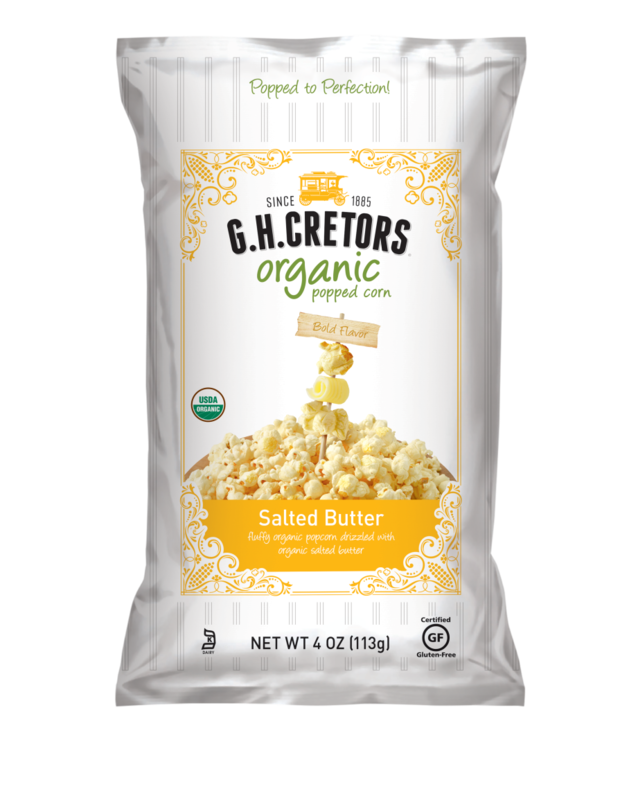 Cretors organic salted butter popcorn is made in the USA with our signature large popcorn kernels. Enjoy this snack at your next family movie night, but be sure to have enough on hand for everyone to enjoy!